Injured play-off victim JACK HOLDER has been ruled out of the Rebels' KO Cup final next week against King's Lynn, it has been confirmed. The loss of young Jack during the Rebels play-off semi-final visit to Poole after he was launched into the airfence when his pursuer Brady Kurtz attempted to turn too early on the first lap of heat 4 not only proved costly for Somerset that night but his loss from the Rebels side for the cup final comes as a major blow. Garry May confirmed that Holder's season is over after the Aussie sought further medical diagnosis and underwent an MRI scan. "Apparently nothing seems to be broken but it has made a mess of a muscle that I can't pronounce. He has been told to rest it for several weeks and so sadly we will have to look elsewhere to find a rider capable of helping us to the cup. I maintain that had we not lost Jack at Poole then it would have been us contesting this week's play-off final and we will certainly miss him in the knockout cup too." The unpronounceable muscle that Holder has torn is the supraspinatus muscle which is a relatively small muscle of the upper back that runs from the supraspinatous fossa superior portion of the scapula to the humerus. It is the most commonly injured rotator cuff muscle and tendon. The supraspinatus is located directly on top of the shoulder, and the most important muscle involved in lifting the arm away from the side. Holder's 2018 Rebels team-mate Jason Doyle suffered similarly with rotator cuff problems a few years back but after surgery has come back much stronger. Whether Holder will need an operation remains to be determined. The Rebels could still be welcoming the 2018 Premiership champions to the Oaktree Arena on Wednesday 17th October, but the King's Lynn Stars will have to make history in the second leg of the Premiership Grand Final this Wednesday to secure that label. No team has ever overturned a double-figure deficit at the halfway stage, and the Stars have 16 points to pull back against Poole on their home shale after Poole prevailed in the first leg last night with a 53-37 victory. 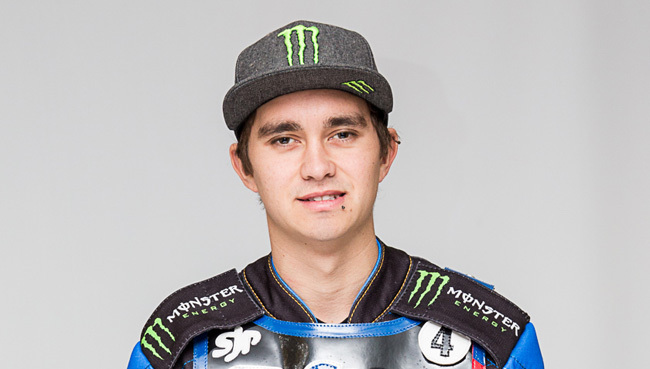 Besides losing Holder for the cup final the Rebels could also be without Bradley Wilson-Dean who is still rehabilatiting after his operation to have metalwork removed from his shoulder and Aaron Summers currentlly remains doubtful after he damaged his wrist.